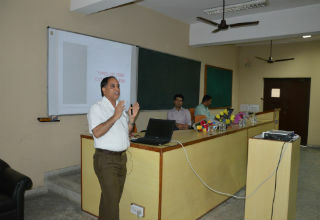 On 23rd July 2015, a session was conducted by the representatives of Tata Power Delhi Distribution Limited (TPDDL) at JIMS, Rohini, Sector-5 on Energy conservation and safety. It was an interactive and knowledgeable session in which students of PGDM (2015-2017 batch) participated. The speakers with the help of audio – visual presentation created an awareness on importance of energy and electricity, its conservation and need for opting for Green concept such as enhancing the usage of online services as against paper work. As their tag line said "Safety Always First", they gave us a lot of valuable information about how to use the energy resources optimally and efficiently. 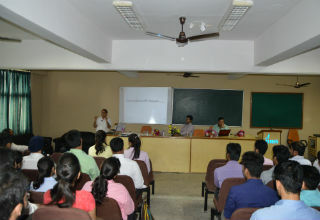 Throughout the session, students interacted with the speakers and clarified their queries. Overall, it was an informative and learning experience for the students that would be helpful to them throughout their life.